What Makes You Unique Compared to Your Competitors? We live in a world that is conspiring to reduce everything you do to a commodity status. If they win, they dictate the price you are paid for your products and services. If they win, your margins will slip to unsustainable low levels. Your business will cease to exist. The only way you and your firm will escape this low priced, provider trap and survive for the long term is to identify, communicate and celebrate what uniquely distinguishes you from your competitors. You must identify and leverage for maximum value your "crown jewels." What are your crown jewels? Your crown jewels are those capabilities that are unique to your organization and could include your talent for design, your engineering know-how, your marketing insights, your unique brand, your agile execution. Your competitor may hold similar values and may make similar promises to clients and prospects. After all, everyone talks about quality and customer service. You will have to go beyond talk. For you to win, you will have to deliver on your values in ways that clearly, unmistakably distinguish you from all your competitors. You will have to EXECUTE at higher and higher levels. Your mission is the positive difference you make in the world, the reason your firm exists, the why behind the "whats" that you do every day. Your purpose is the "why" behind your commitment to making this difference and provides the drive, motivation and inspiration needed to successfully execute your mission. Purpose is the bigger story; it is why you chose your mission. It is the reason behind your mission. Values are the beliefs you draw upon in making decisions. This is the way you determine how you will behave internally, how you live as a corporate citizen, and how you serve each other and your customers. Your credo is the succinct story you tell. This is how you and everyone in your organization talks. This is the way everyone expresses your organization's mission, values and purpose. This is the Stadium Presentation you use to convey to your clients, prospects, associates, prospective team members, and the world at large why you exist and the difference you make. I first helped a client write their mission statement in 1972. My insights came from Peter Drucker and my personal mentor, Whit Whitlow. I drew on my core beliefs which had begun to solidify about fifteen years earlier. I was very fortunate to have these influences and many other cutting-edge leaders. A clearly articulated combination of your Mission, Vision, and Values provides a cause to champion. It keeps your team aligned to create synergistic advantage, makes decision making easier, and creates engaged associates at every level. When everyone knows why we do what we do, what our values are, where we stand, they don't have to ask, "What should I do now? How should I handle this?" This is one of your chief ways to distinguish your enterprise from the crowd. This is how you keep from becoming a commodity. This helps provide the juice needed to innovate and execute on your strategic plan at ever increasing levels. 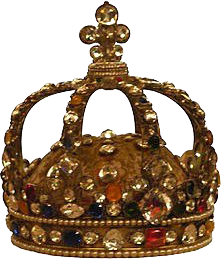 What is the one thing you can do today to leverage your crown jewels and keep your organization from being thought of as a commodity?